Here are a few more photographic views of Cambados, a quaint Galician town which we felt was just about as good as they get. 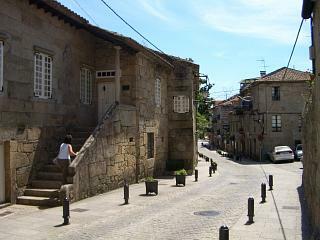 Looking back down the main street in the old town. 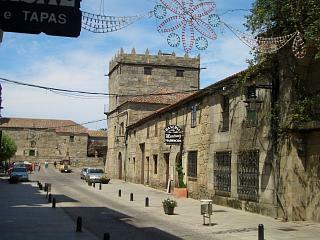 The bodega, once a pazo, at the edge of town. 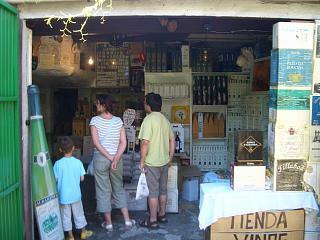 Cambados is full of shops and courtyards selling the various fruits of the vine for which the Pontevedra province is famous. Some of these wines are now finding a market in Britain and the USA as well as main land Spain. Part of the old main street again. 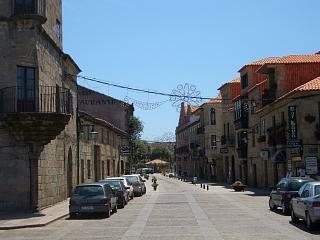 Several narrow streets lead off from this one and it is only a short walk from the sea front. 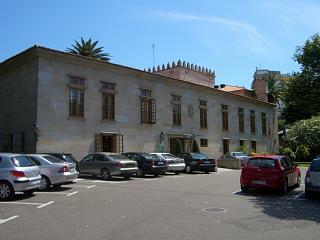 The building in this shot is a wine museum. Naturally it was closed (mid afternoon) during our visit. 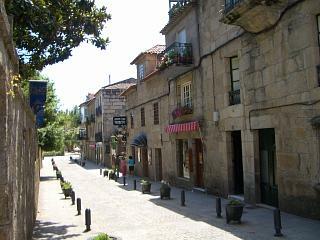 The parador in cambados for those who may consider staying there.